Here we are, the 2015 is fresh starting and as usual it’s the right time to take stock of the past year. In this post, we’ll go through the main accomplishments done in 2014 about open source and as you will easily see, the past one has been a very productive and inspiring year! The 2014 has been a very important year for the Innovation and Open Source in Italy and Rome as main host: in October, the Eternal City was the venue of one of the biggest Maker Faire in the world (as an example, New York had 500+ makers and 60’000 visitors, Rome around 400 Makers and 90’000 visitors!) and, for the first time, hosted the Open Source Hardware Association (OSHWA) Summit. We had the luck to have, as a co-chair of this event, that Simone Cicero so well known and appreciated by our readers. OSHWA Summit is a fundamental moment to discuss openly (in the very meaning!) about this rapidly growing movement throughout the world. This is the perfect location to present, see and discuss about open hardware projects, trends and approaches and how hardware is in relation with software, design, education, laws and business. European edition has been considered really important by the association, born in USA, to have a global view and understand the different needs from different cultures and economical systems. This edition had the pleasure to host the performances of Adrian Bowyer, father of the RepRap 3D Printer, Allison Burtch and her liberation technology, Becky Stern wearable director at Adafruit, Benjamin Tincq co-founder of OuiShare (a think-tank with the mission is to build and nurture a collaborative society), Tomas Diez coordinator of FAB city project in Barcelona, and many other important contributors you can find here. Can’t wait to join the next summit! 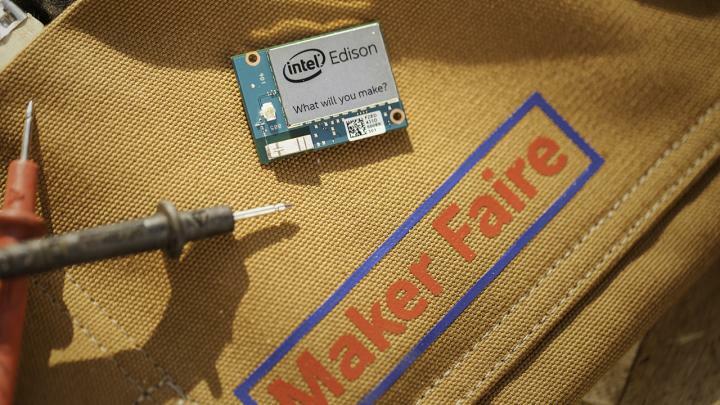 The last year, Intel presented two boards that every Maker ever dreamed! The first is the second generation of the already famous Galileo board, the fully open source development and prototyping board, compatible with Arduino but powered by a Pentium architecture. Compared with its father, the newborn Gen2 has a new USB TTL UART 6 pins port, 3.3V, most compatible with serial breakout boards, 12 additional GPIO, POE support with flexible feeding from 7V to 15V, a 12-bit PWM for finer motor control. Then, you still find a 400MHz, 32-bit single core Quark X1000 Pentium ISA processor, 256MB Ram, microSD support up to 32GB, miniPCIex port and full compatibility with Arduino Uno R3 shields and also with Linux OS. The second and fresh new board is the Edison one, mostly dedicated to the IoT and Wearable computing worlds. In fact we have in a credit card size board, an Intel SoC equipped with a dual core Atom, 22nm technology, 1GB DDR3 Ram, WiFi and BLE (bluetooth low energy): a real Nirvana for the Makers exploring the Internet of Things niche. Apertus won in 2012 the amazing Prix Ars Electronica, the world famous trend barometer that shows and highlights the disruptive innovation, what we have new and exciting with a high impact on people. Just as an example, Prix Ars Electronica has been assigned to Pixar (1987), Wikipedia (2005), Wikileaks (2009). 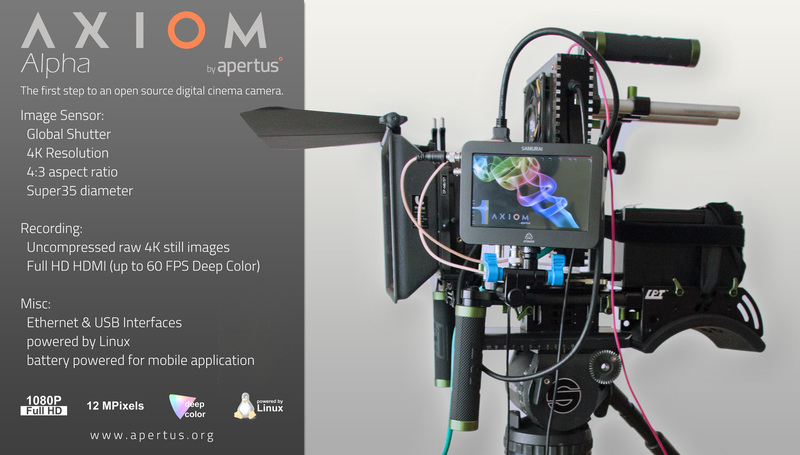 Apertus project aim at creating the first high end open source cinema Camera ever, at an affordable price but equipped with the best hardware and software solutions to allow any filmmaker to use it for their movies, at professional level. In few years, starting from Fall 2012, Apertus succeded releasing the first prototype of its AXIOM Alpha camera in 2013 (full HD resolution) and in 2014 they’ve started a new crowdfunding campaign for AXIOM Beta Camera (4k Resolution). This version will be the first really available for general public (backers) ranging from 1500€ to 2300€. Final target will be the AXIOM Gamma model, with 4K resolution, uncompressed RAW output, 300 fps, possibility to mount Nikon and Canon lenses, everything well under 10K€! Kudos! The famous and must-have brand Autodesk, pleasure and pain for any Architect, Designer, Engineer, presented out of the blue an amazing open source project, named Spark. This will be, according to the company, the first open source 3D printing software platform born to expand the possibilities of additive manufacturing. The project is founded on three pillars: Connected, since Spark will streamline the communication between software and printer to avoid mistakes, trial, bad prototypes and to extend the materials used for printing; Open, since the whole platform is released in an open concept so any Maker, Designer and Engineer can use and expand the modules according to their will; Free, since the license will be free of charge, to help and push the diffusion of this solution. 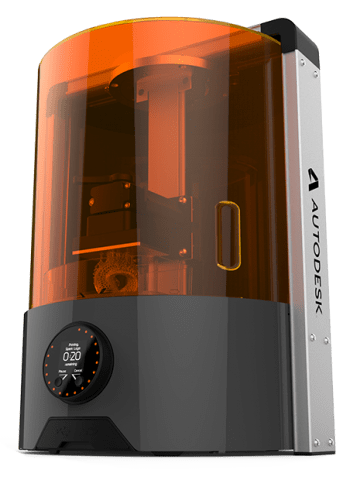 Together with the platform, Autodesk released Ember, its first stereolithography digital light 3D Printer, ready to be connected to any Spark ready 3D modeling software or website. With a best resolution of 10nm (minimum layer thickness, 50nm on X-Y axis), it is ready for jewelry, medical devices and even nano-biology. It has an open design (yes, you can download and modify the blueprints, soon available on their website!) and it is your for less than 6K$. 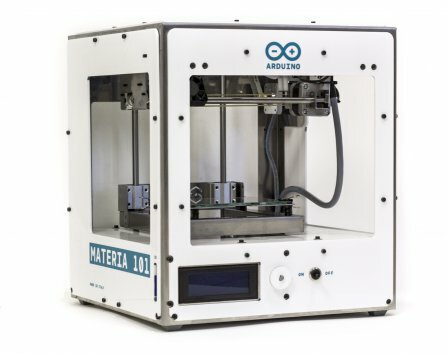 Arduino Materia 101 is the first official Arduino FDM 3D printer, available on DIY Kits or already assembled. It uses an Arduino Mega2560 with a shield specifically made for controlling 3D printers. It’s a small machine, with a sheet metal design housing the moving parts. The design is very simple and minimal, since it has been thought for beginners and for whom who will need to experiment and hack it. Arduino Materia 101 is an open-source machine, from the design of the mechanics to the electronics and firmware, as all Arduino products. It is fully compatible with other open-source design tools such as: Slic3r, OpenSCAD, Blender with many many more, far below 1k€. I have to admit, this is one of my favorite. Local Motors is gaining popularity since it is selling open source vehicles (not only cars, visit the website! ), but this time it went much farther! At the International Manufacturing Technology Show (IMTS) in Chicago, Fall 2014, Local Motors printed a car in front of the audience: model Strati. The mechanics is taken by Renault electrical vehicle Tweezy, while the chassis and the body are printed with ABS carbon-reinforced, with a process called BAAM (that is a 3D Printing for large surfaces). 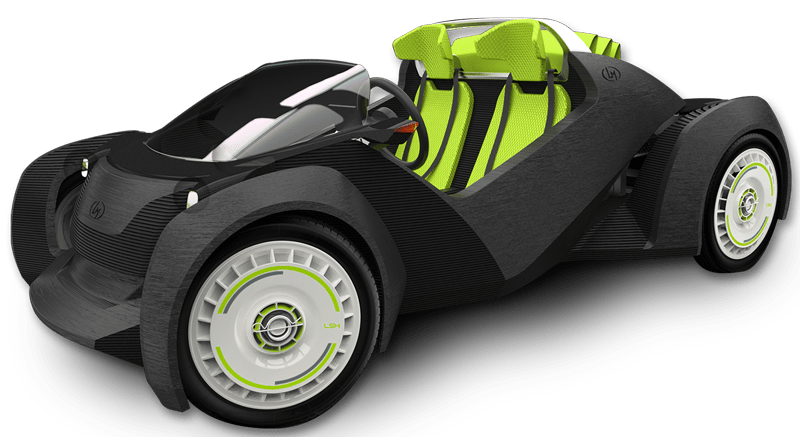 The nice design has been realized by the italian designer Michele Anoè, selected first by the online Local Motors Community, then by a jury of 3D Printing and Industrial design gurus. If it is not enough, Local Motors innovated the whole building and assembling process. The production is based on the concept of “micro-factory”. Those “smaller factories, if compared with the huge factories of Car companies, will be located near the urban center, they will reduce waste and increment reuse and sustainability, lower the expenses and pollution for the transport and delivery. Local Motors is planning to open more than 100 micro-factories in the near future, each one employing more than 100 people. And one car is printed in around 44 hours, aiming at a target of less than 24 hours, realizing a “printing on demand” chain. Vrooom! Alicia is the founding president of the Open Source Hardware Association (OSHWA). 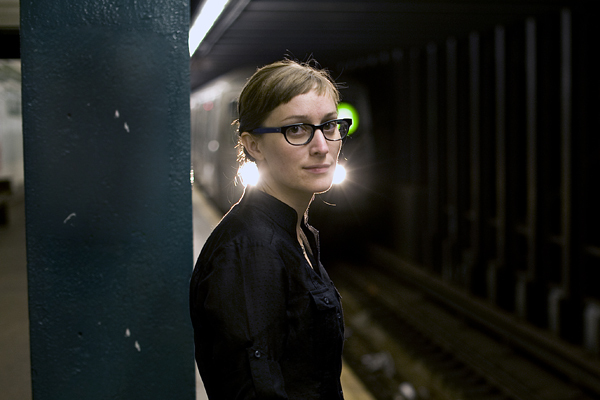 Previous to becoming an advocate for OSHWA, Alicia was a researcher and prototyper at Bug Labs and she is a member of NYCResistor, co-founder of the Open Hardware Summit, and a member of the advisory board for Linux Journal. Being one of the most important influencer in the Open Hardware world, we absolutely appreciated her new book “Building Open Source Hardware“. It is a three sections journey, driving the reader from knowledge to practice and with an interesting bunch of “below the counter” advices, from her real experience in what she’s writing about. The first part is about the open source hardware theory, starting from the definition of what is “open source”, how it is licensed, which are the OSHW best practices and how it is possible to standardize the open source hardware design and manufacturing process. The second section is a “hands on” formula, giving examples on how to start an open source project, how to make derivatives and she is focusing on real applications about Arduino, 3D printing, wearable hardware design and physical materials uses. The last section is driving you from the personal “making” towards a more “professional” manufacturing approach, showing also how to properly document your product and how to make a business out of it. This is the fist book fully dedicated to OSHWA and an essential tool for any hardware designer! This is a very nice surprise from the crazy people at Google. 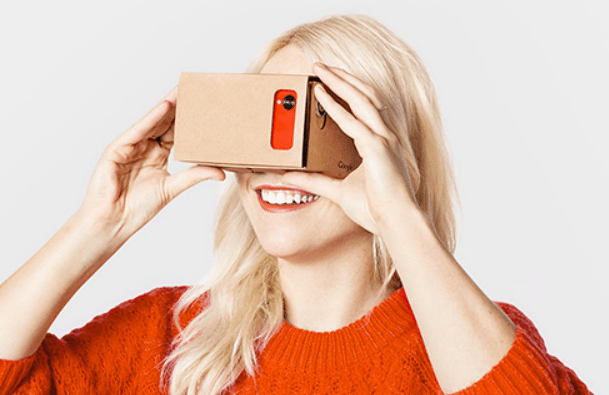 CardBoard is a cheap and open system to turn your smartphone into a Virtual Reality / Augmented Reality device, 3D vision enabled. It is not only a cardboard box, of course (even its design and realization is astounding, considering what it is really!) but a whole system to realize VR apps: let’s see all the components! And, the most important is: both software and hardware designs will be kept open source, to push the development and diffusion of this system among developers! I’ve heard about this project during the OSHWA Summit in Rome, last October 2014, and I’ve been really affected with it since the very first time. If everyone hates wasps (why are they needed in the ecosystem??? ), people do love bees (and their honey! ): it is a matter of fact. Aren’t you convinced about it? Well, Andre, Jon, Tristan and Aaron from Denver, Colorado, easily proved it by gathering three times the money requested on their Indiegogo crowdfunding campaign: more than 60’000$ on their goal set to 20’000$, to realize the first (as far as i know) “open source printable and smart beehive to track colony health and promote international bee recovery”. The team is a mix of engineers, beekepers, ecologists, makers and open source advocates, spread over three cities (and two Continents) that would like to fight the Bee Colony Collapse Disorder, a dramatic and unknown disease that is causing a quick death of a huge number of colonies. Bees are helping pollinate crop (a market of about $200Bn) and if they will disappear, the entire Earth ecosystem will suffer in a way we still can’t reckon. The design of OSBH is thought to simplify the management of the colony and, above all, to monitor their health with sensors. Those sensors, Internet connected to an online community, will help also to realize a distribute monitoring system, to report and track statistically the health of our six-legged flying friends. 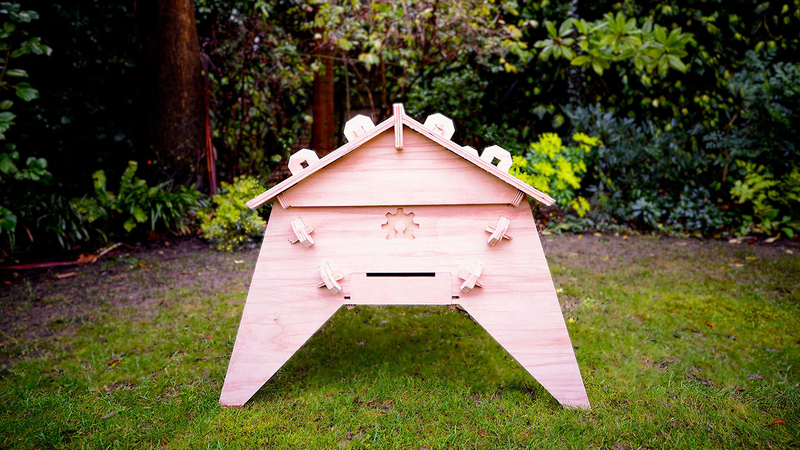 On their website you can find tons of info about the Disease, the construction and assembly schemes, the sensor part (and they are already working on a sensor box ready to be installed on beehives) and the online community, with facts, studies and a network of other open source projects on Beekeeping. And, needless to say, all of their work is released under the CC-BY-SA 3.0 license! 10. OpenDesk Open Source Furniture gets funded in minutes! If you think that after Ikea there won’t be innovation in the furniture market, you’re deadly wrong. The next frontier is what the guys of Open Desk are doing. OpenDesk is a project born to realize open source furniture. On their website you can find an impressive portfolio of different models among desks, bookcases, bed, chairs and armchairs. You can download the schematics to realize the pieces by yourself or, if you prefer, you can find a gelocalized list of digital fabricators nearby your location so that you can just purchase what you want. The most impressive news is that OpenDesk collected thanks to an equity crowdfunding campaign on CrowdCube.com, led by the CEO of the company Nick Ierodiacounou, twice the amount requested, reaching £308’000 in a very short time. You can collaborate in various levels with OpenDesk, follow its workshops, submitting your own furniture design, or became a digital fabrication partner to allow your city mates to have those astonishing pieces. Since every design is released as open source, you can also modify an existing project and create a nice derivative. Enjoy!